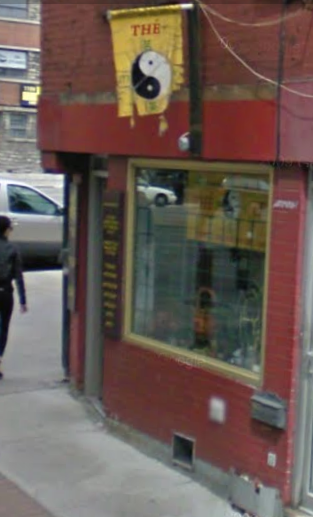 There is a tea shop in Montreal’s Chinatown. Its name is Speacialtea. We found that shop totally by chance. Since then we have been regulars. There are a couple of things that make that shop special and it is very easy for your business to replicate those. First, for a tea lover that shop is paradise. The owner has more than 160 kinds of tea. Actually, as you may recall offering endless options is not such a good thing. Nonetheless, it gives you an impression of being in tea heaven where you can find whatever you want. Here is the first lesson: First impression is extremely important. Your first impression should reassure that the client is in the right place and his/her problem will be solved. Second, the shop is exactly what you would expect from a tiny little shop in Chinatown. Design-wise the shop is not special. It doesn’t have a fancy logo. And I think that is alright. Because had the shop was uber-slick you would not feel comfortable there. Right fromthe moment you enter, you experience an authentic atmosphere. Here is the second lesson: Be true to yourself. Don’t work too hard to impress people. Third, the owner of the shop, Mr. Howard is a tea guru. He not only knows every herb by heart, he also understands how they should be combined. This is called knowledge and on it is own it is not enough. What you need is the ability to listen and understand to make sense of your knowledge. And Mr. Howard is great at that. Every time you go there, he looks at your pulse, your eyes, tongue; he does a random check-up before recommending you a particular tea. And he does that EVERY time. Here is the third lesson: Having an expertise and knowing your job is not enough. For people to respect your knowledge, you should listen to them, understand their problems and tailor information to their need. All this stuff might sound too wishy washy, but let me assure you that throughout my life, I have never seen a better combination of CRM and sales. Mr. Howard does not sell cheap stuff. His tea is expensive. But here is the thing: when you pay for it you feel it was worth it. And when you leave the shop and drink the tea, you have peace of mind. Every single time. That’s what you should learn from Mr. Howard. Today’s actionable tip: If you want your business to be sustainable, you have to start creating pleasant experiences for your customers. Love what you do. Don’t be pushy. People will buy your products or services as long as you provide value to your clientele. Great post. I would also add that it’s so important to strive for consistency across all touch points. Some companies train their front line staff really well, but then you’ll call a call centre or go online, and you are not met with the same warmth or user-friendliness that you get from other representatives. Such experiences can be confusing and depreciates the values of a company’s brand. You are absolutely right. There are some touchpoints that are more important than the others. These are called “moment of truths”. A brand should be completely consistent especially in those MOT. As you stated, a chat with a call centre rep could be as important as the packaging of the product. All consumer brands are in experience business now. Consistency is the key! Nice post. We can learn from this. Thanks.